It’s always great to find partners that share similar missions, insights, and goals – so it’s great CollectiveSun has found just that in our newest lending partner, CDF Capital. Much like how CollectiveSun exclusively assists nonprofits in going solar, CDF Capital assists churches in funding projects that benefit the church’s mission, objectives, and growth. 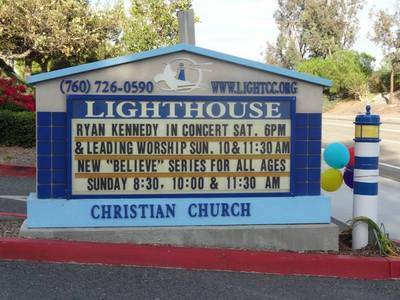 CDF Capital will serve as the lending partner for our latest solar project – Lighthouse Christian Church in Mesa, California. Lighthouse Christian Church, like many nonprofits, has had an interest in going solar due to the vast environmental and financial benefits. However, the governmental red tape around 501c3’s prohibits nonprofits like Lighthouse Christian Church from easily making the move. Fortunately, Lighthouse Christian Church will be utilizing CollectiveSun’s ability to monetize tax benefits they normally would not have been able to take advantage of which reduced their project by 15%! CDF Capital provided a loan to fund the remaining 85% and the church can now save money on its energy bill, support creation care, as well as support the environment by going solar. The installations will be installed by Sullivan Solar Power and are slated to begin in later this year. We are thrilled to begin on this project and work with CDF Capital and Sullivan Solar Power to ensure the Lighthouse Christian Church has a smooth and fruitful transition into solar energy.